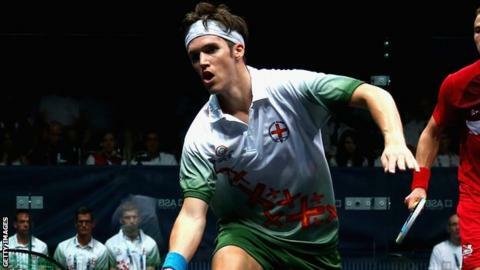 Guernsey's Chris Simpson failed to cause an upset against James Willstrop in the first round of the Swedish Open. Willstrop, who was playing for the first time since a hip operation last autumn, came back from a game down to win 11-9, 7-11, 7-11, 11-4, 11-8. Simpson, ranked 22 in the world, had hoped to take advantage of Willstrop's lack of match practice. He will now focus on next week's British National Championships.